It all started with the U.S. Navy. In the early 1990's, the U.S. Navy became concerned about "mission critical" corrosion problems. 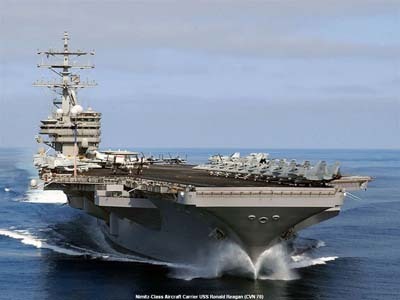 This means that corrosion could reduce the U.S. Navy's ability to carry out missions. "Mission critical" problems: included deck edge elevator cables and door (hatch) mechanisms. 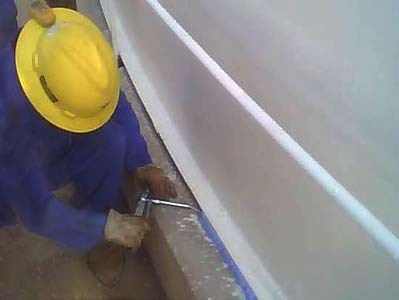 When Polyguard’s RG-2400 Corrosion Control Gel demonstrated the ability to solve the elevator and hatch problems, which until then had not been solved, the RG-2400 became a sole specification in the Navy maintenance manual. In years since, the gel has spread to other areas, solving corrosion problems for detachable anchor links, cargo and forklift doors, and other areas. Click here for more information on products specified by the U.S. Navy. Corrosion weakens cables, resulting in catastrophic failures. Corrosion from salt air and water in mechanisms keeps hatches from opening or sealing shut. They say that if you have something really different to sell, you need to find customers who need a solution to a serious problem. This way, your customers are motivated to find a better way. So we set out to find other customers who Anti-Corrosion Coatings that had hidden or crevice corrosion which was causing serious problems. Polyguard found a second set of customers who had a serious problem; the Food and Beverage Processing industry. This industry has hidden corrosion (Corrosion Under Insulation or "CUI") on the insulated piping systems of their chilled processes. Their process is chilled by Ammonia Refrigeration. Ammonia is hazardous, toxic, and dangerous to the environment. If corrosion in ammonia refrigeration piping causes a leak, there is real danger to the people in the area, and to the environment as well. Both Safety and Environmental agencies (State or Federal) will respond immediately. Moreover there can be lengthy facility shutdowns, and losses of millions in inventories which have been contaminated by ammonia releases. The food and beverage processing industry became eager and early adopters. At this writing (early 2010) the list of food and beverage processors using Polyguard RG-2400 under their insulation reads like the average American’s shopping list. In the tank shown, it has been protected by RG-2400 on the steel and Polyguard Insulrap™ weather barrier is being installed over the insulation. Insulrap™ blocks moisture from penetrating in the first place. An international beer producer tested RG-2400 for several years. Now they've standardized on it. At the same poultry facility, the same level of protection is used on the piping; RG 2400 on the steel, Insulrap weather barrier on the insulation. At a major distribution center, RG-2400 spray application was installed on an ammonia receiving tank. A number of the world’s largest oil companies operate above the Arctic Circle, both in North America and in Russia. Pipelines carrying oil and gas are aboveground, due to a decision not to disturb the fragile permafrost. 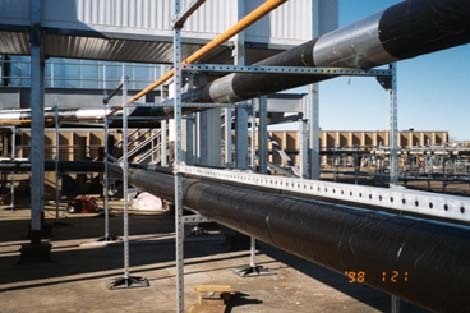 These large pipelines must be insulated with Insulation Jacket or Cladding, which creates the potential for very large corrosion under insulation (CUI) problems. Oil and gas company engineers are also extremely concerned about spills, since the Arctic is such a sensitive environment. We introduced the gel products during a NACE (National Association of Corrosion Engineers) chapter meeting in Anchorage in 2004. A high level of interest was shown, and engineers began experimenting with our Anti-Corrosion Coatings in areas with hidden or crevice corrosion such as pig door hinges. Within a couple of years, two major applications were underway. The first application was in wellhead casing fillers, where the Blue Goo™ (that’s what they nicknamed corrosion control gel) is now used in wellhead casings by several firms. 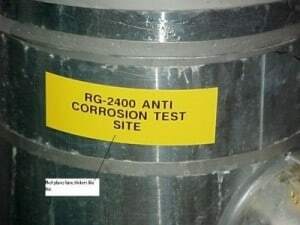 For several of the supermajors, RG-2400 is now the standard corrosion prevention treatment for wellhead casings above the Arctic circle. 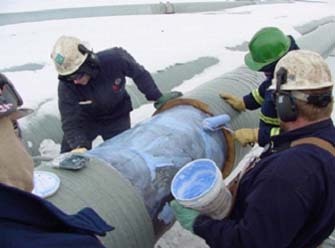 The second "above the Arctic Circle" application was corrosion under insulation. RG-2400 is being used to stop crevice corrosion in the chime area of a storage tank. 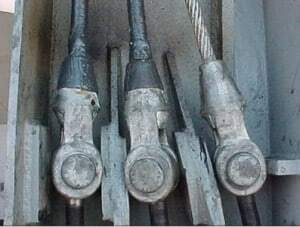 For CUI on transmission lines, Polyguard developed a special formula called RG-2400 AK which could resist high temperatures up to 250°F (121° C), and could be applied to service hot pipelines. 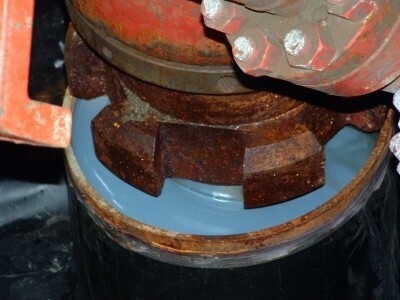 This CUI trial was found to be successful in preventing corrosion. 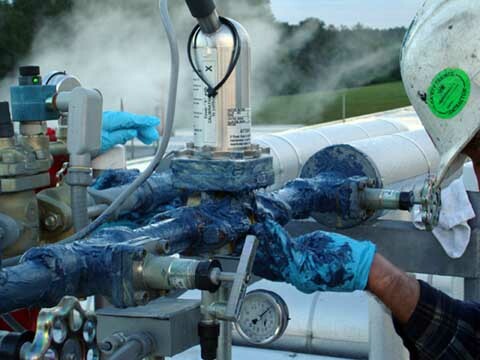 After 6 years, four of the major oil companies have now used RG-2400 gels on insulated pipe systems. As major oil companies work with the Polyguard's RG-2400, more uses are being found. 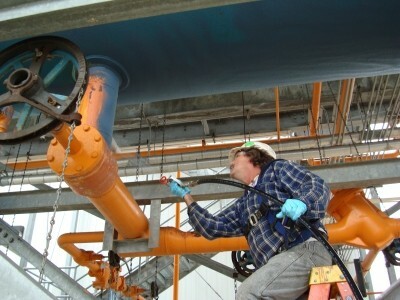 Here the gel is being used to stop crevice corrosion in the chime area of a storage tank. 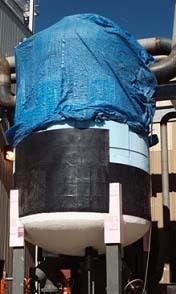 After gel application, a Polyguard weatherproofing tape is used to seal off the chime area. Click here for a more in depth view of the various RG-2400 Applications.